In a variety of make and model of wireless microphone systems, the vast majority of receivers do not have the transmitter battery power display. Although some wireless transmitters have a battery low voltage display, the user generally seldom notices this problem in use. 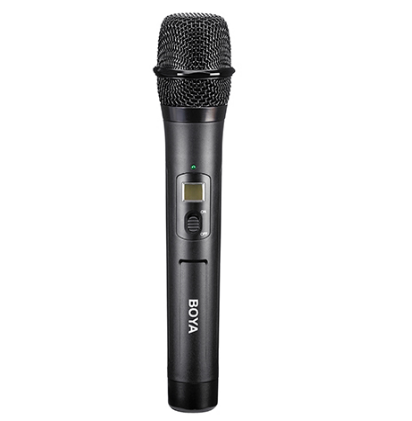 In the normal use of wireless microphone, there is a lack of battery caused by audio signal distortion or frequency interference is what happened. In order to prevent this phenomenon, the operator can use the mixer PFL pre-listening function in the normal use of the wireless microphone, and monitor the signal of the wireless microphone with the earphone. If the sound clarity is slightly reduced or the noise slightly increases , You should immediately replace the battery, so as to avoid as possible due to the lack of battery power to the operator of the psychological pressure. During the performance of the battery replacement should be convenient, fast and easy. It is a good idea to turn on the "dumb" switch of the console channel and leave the wireless microphone in a mute state. For example, a mixer without this function can turn off the output of the wireless microphone receiver and turn it off If the receiver does not output the volume switch, turn off the mixer input gain or use the Line / MIC selector to switch between the transmitter and the receiver, Turn on the battery after replacing the battery and then reset the mixer input gain or selector. Why not wireless microphone channel fader off and then replace the battery? Here need to explain that if you use the closed channel fader method to replace the battery is more cumbersome, the microphone in the concert are generally added effect processing sound, if a When the microphone is in use, another wireless microphone needs to be replaced. In this case, if the channel fader is closed, the auxiliary channel potentiometer used for reverberation and delay should be closed at the same time. If you forget to turn off the auxiliary channel potentiometer and replace the battery When the shape of the wireless microphone transmitter power impact sound from the auxiliary channel output through the effect mixer to mix, directly affect the sound effects; Moreover, if the replacement of the battery leakage auxiliary potentiometer will appear without effect sound and affect the sound effects .